Security & Surveillance Cameras in Beaufort, Blufton, & Hilton Head, SC; Brunswick, Pooler, Rincon, Richmond Hill & Savannah, GA.
Coastal Empire Fire & Security provides innovative, cutting-edge technology with superior customer service, and we’ve been doing it for nearly 20 years. The result is amazing clarity and reliability with your CCTV monitoring service. We use the latest in camera resolution and tracking software to give you a clear and crisp image that maximizes your surveillance capabilities. No matter what type of commercial space you want to secure, whether you want to manage inventory, or track employee productivity at your business, Coastal Empire has a solution for you. We know good physical security brings you piece of mind, which is why we’re dedicated to providing the best products and services in over four states, selling, installing, and servicing a broad range of CCTV systems. The internet makes it easy. Coastal Empire provides the means to record video surveillance using state of the art digital recording. And an IP-based surveillance system, one of several types of systems Coastal Empire provides, creates a high resolution, digitized video stream that can be transferred or stored over an internet connection. Our systems integrate easily with other types of systems, so you can maximize your security investments. Upgrade to the present, plan for the future. We can provide a customized CCTV security system to exactly meet all your current requirements while allowing for future expansion and innovation. Don’t bother wasting your time and money on an obsolete CCTV system when you can have a cutting-edge solution that meets your needs far into the future. Coastal Empire has been using hard drive storage for over 10 years, and now analog security video has been replaced with Mega Pixel IP video streams. Don’t rely on old technology. 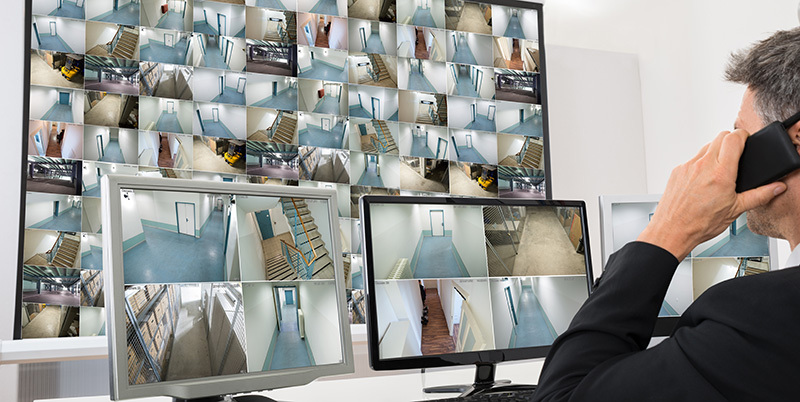 With an upgraded CCTV video surveillance system from Coastal Empire Fire & Security, you can retrieve and review footage from our systems instantaneously, and print images for evidence in criminal or civil liability cases. Contact us today for more information on how we can make a difference in your CCTV video surveillance systems.